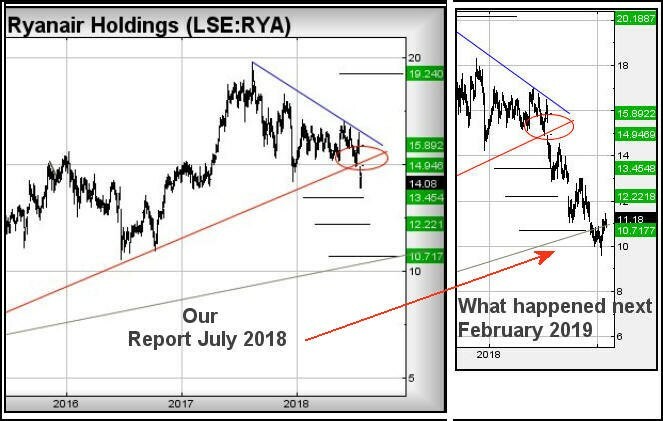 This share plays by the charting rules, but which way does our technical analyst think it's heading now? 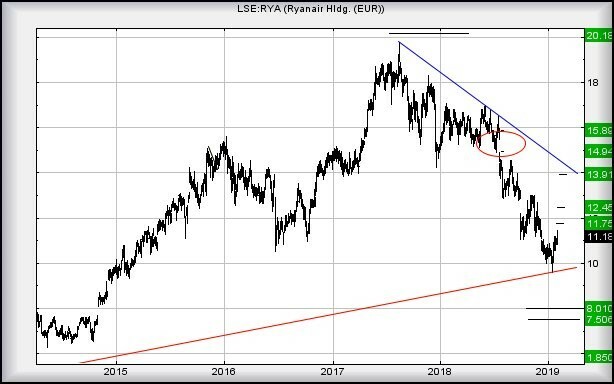 Our July 2018 report on Ryanair (LSE:RYA) provided a masterclass in predicting share price movements. The image below highlights something we usually don't bother giving but the three drop levels achieved were quite vivid. What's next as we always like a share which plays by "the rules"? First and foremost, there's the issue with our "bottom" at 10.7. Obviously, this level was broken and remains a worry, despite recovery in the period since. The situation now exists of weakness below 9.83 expecting travel to 8, perhaps even 7.5 euro. The proximity of the two targets almost suggests the airline must bounce at such a level (if achieved) as our ultimate bottom is down at a silly looking 1.85. On a more positive note, it's currently trading around the 11 euro mark, needing only above 11.75 to enter a cycle to an initial 12.45. While not particularly impressive, should it manage above 12.45, longer term recovery to a trend testing 13.9 is expected. We do expect the blue line on the chart below to introduce some sort of hindrance to any rise, if only due to the downtrends quite contrived nature. For the near term, we suspect it shall continue some recovery but, until it closes a session above 12.45, caution is advised. Alistair Strang is a freelance contributor and not a direct employee of Interactive Investor. All correspondence is with Alistair Strang, who for these purposes is deemed a third-party supplier. Buying, selling and investing in shares is not without risk. Market and company movement will affect your performance and you may get back less than you invest. 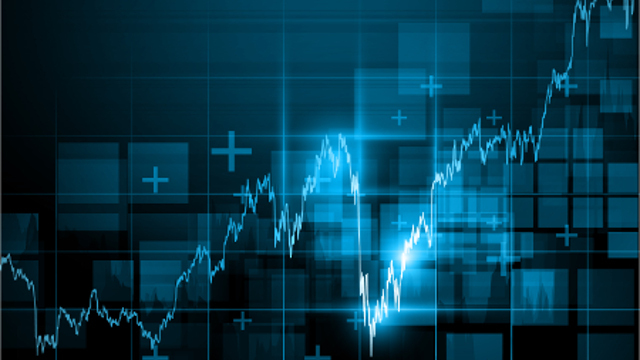 Neither Alistair Strang, or interactive investor will be responsible for any losses that may be incurred as a result of following a trading idea.